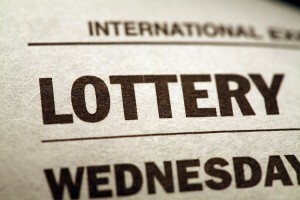 Pythagoras the renowned and ancient Greek mathematician stated, “The world is built upon the power of numbers,” In fact, magic lottery numbers are an exciting prospect when it comes to achieving big wins. It would be so perfect if we could formulate the right winning numbers. In such an event magic lottery numbers would be far more than a cross between luck and esoteric science, but a fail safe way to fabulous riches. The mystery of mathematics has not been totally understood even by the most famed scientists. Experienced numerologists surprise themselves as they accurately analyse our future using our date of birth as a springboard for predictions. Yet, compared to a character study and prediction, the prospect of magic lottery numbers actually working could seem like that pot of gold at the end of a rainbow. The thought that if we tune into the right magic lottery numbers big wins could be the order of the day makes us feel we could challenge fate and change our luck forever. In fact, Magic lottery numbers could be the perfect solution at our finger tips, certainly they give us hope! But how to magic lottery numbers work and what is the significance of the ancient science called numerology on which that “magic” is based? Numerology is a system of divination utilizing the mystical significance of numbers. Pythagoras studied numerology. The significance of a number bringing good or bad luck to an individual was intriguing to him, even mysterious and divine; he considered numerology both a science and a mystical perception. Numerologists will analyse your character using a calculating system incorporating birth date with the letters of your name. It is amazing to note how exact these life readings often are. Every letter has its corresponding number and every number has precise characteristics. For example, the number one denotes individuality, someone who likes to start projects, a go getter in other words. The number two is security versus risk, a person who seeks harmony in relationships. The number three is all about communicating and is considered one of the luckier numbers, being chatty and creative is a characteristic of the number three. A number four is to do with creating projects and making them as down to earth as possible. A number five is a restless individual on the go, often chopping and changing ideas, etc. Every number carries a unique energy and a series of numbers linked together formulate a mystical language that reveals future trends and even in-depth solutions regarding the destiny of an individual, rather like an astrology chart. Magic lottery numbers intrigue us, but some numbers have an even greater significance on our lives. Few in the US and UK will arrange an important interview on Friday the 13th, or a dinner party with 13 guests seated around the table The number 11 is considered a spiritual number but can also symbolise chaos and disorder in its negative format. The standing twin towers looked like the number 11. The airplane that crashed into them was American Airways flight number 11 with 92 passengers on board, i.e. 9 plus 2 equals 11. A couple of the 9/11 terrorists lived London at a number 11 street address. After the 9/11 attacks there were 111 days left to the end of that year. New York State is the 11th State in the Union. However, please note the number 3 means rebirth, union, approval, and super luck, so if we use that number, for example fill a vase with three roses, burn three candles as we meditate, visualizing a triangle, we can draw more luck into our lives.